This option is geared to active seniors who routinely care for their own oral health care. Includes 3 on-site visits per year. 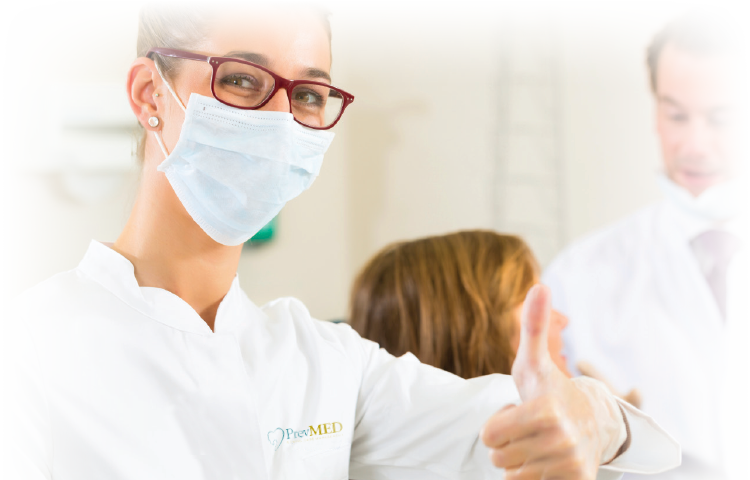 This option complements a facility’s or resident’s daily oral health routine. Includes 5 on-site visits per year. This option is specifically designed for residents with poor oral hygiene and various dental issues. Includes 12 (monthly) on-site dental visits per year. Facility staff members may participate in monthly educational In-Services taught by our clinicians. The presentation topics, which may be chosen by the nursing home staff, range from basic tooth brushing tips to detecting oral cancer. Facility staff may utilize our clinicians as a training resource and mentors in promoting proper and consistent oral hygiene.